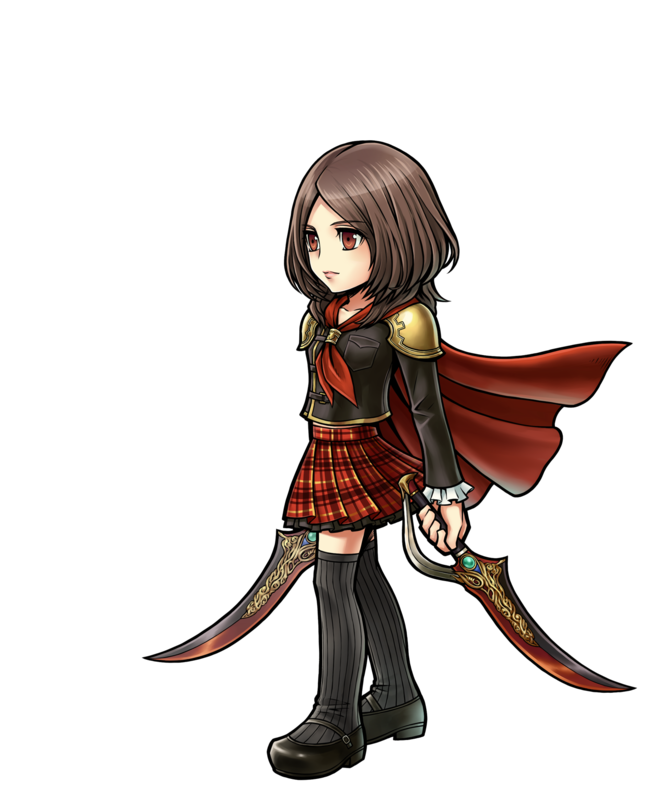 An Agito Cadet in Class Zero at the Akademeia who is sent to partake in the war effort with her classmates. She suffers from an incurable illness, but stands strong to keep others from worrying. Rem and her childhood friend, Machina, are the newest members of the team. ILLUSTRATION:© YOSHITAKA AMANO. DISSIDIA is a registered trademark or trademark of Square Enix Co., Ltd. FINAL FANTASY, SQUARE ENIX, and the SQUARE ENIX logo are registered trademarks or trademarks of Square Enix Holdings Co., Ltd.